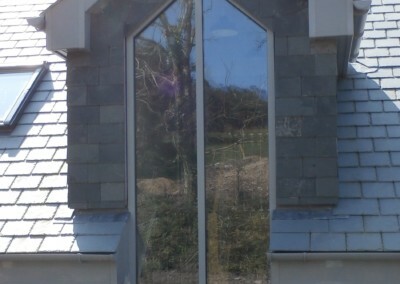 Information about recent installations and works. 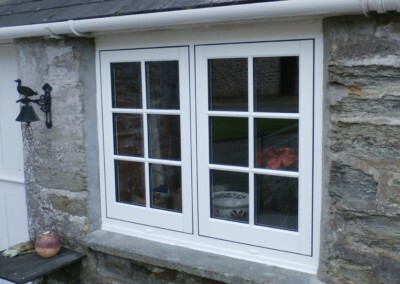 This replacement door was recently fitted by us in Truro. 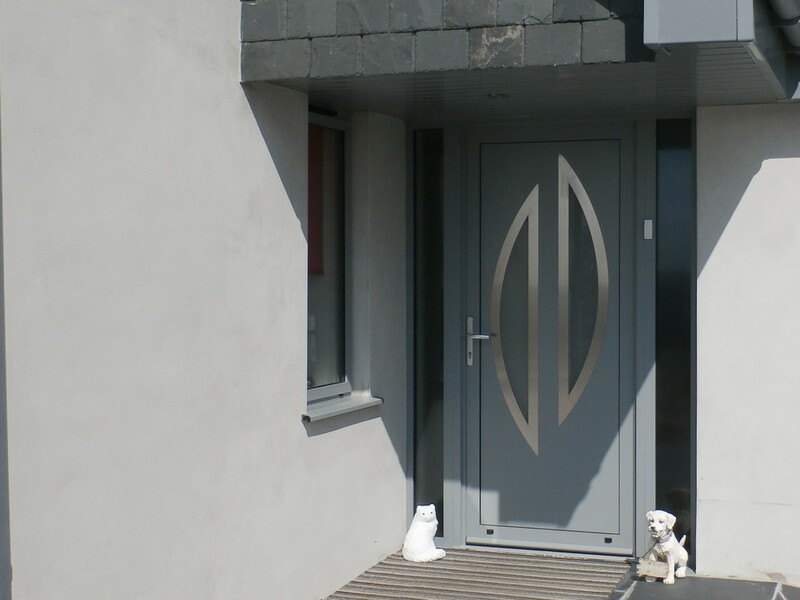 It is a high quality composite door from Solidor. 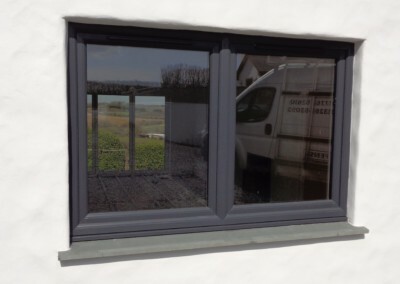 As with all our installations it’s covered by our ten year insurance backed guarantee. 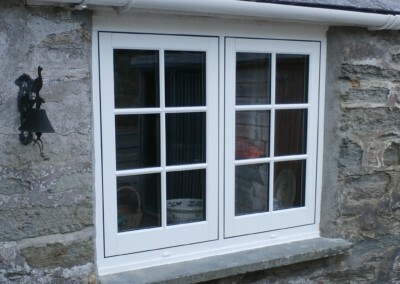 We cover all areas from Penzance to Truro. 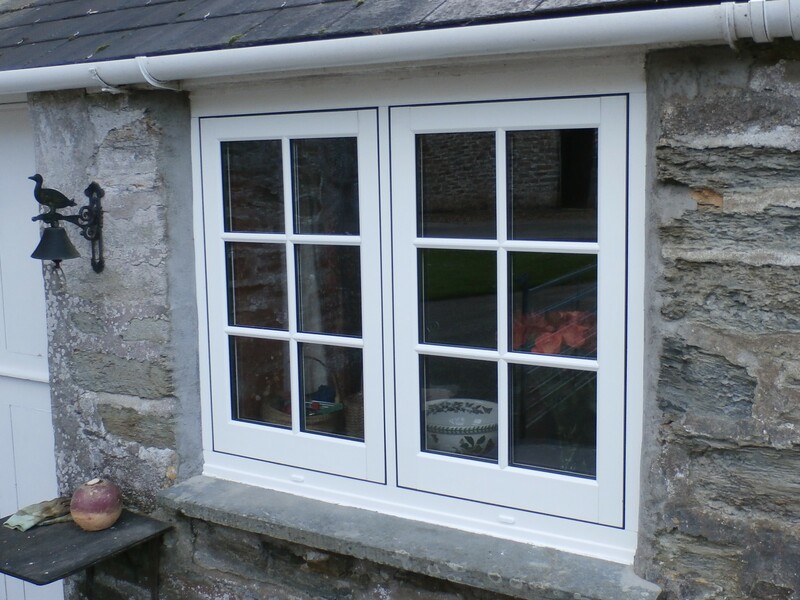 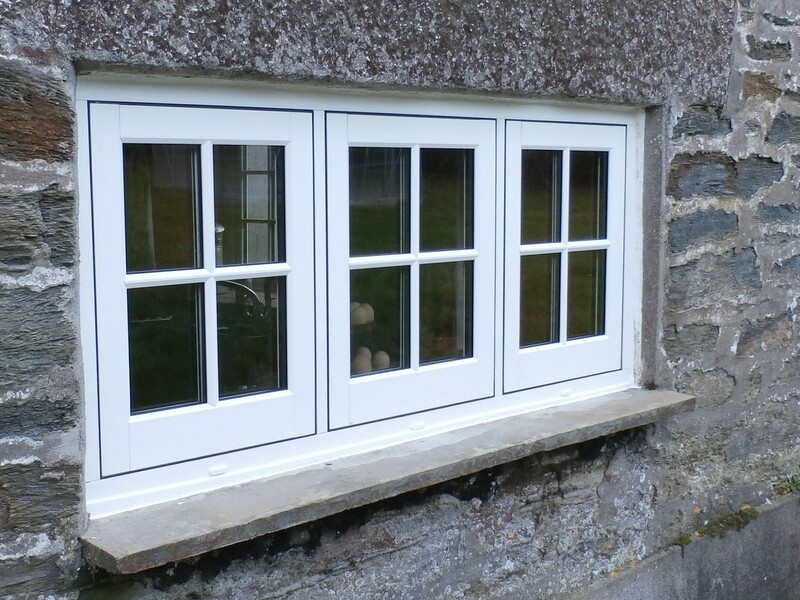 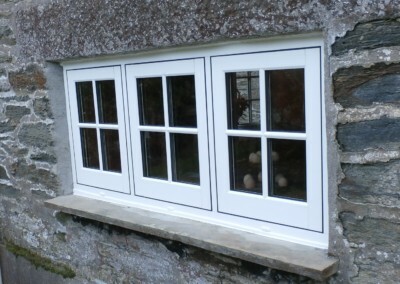 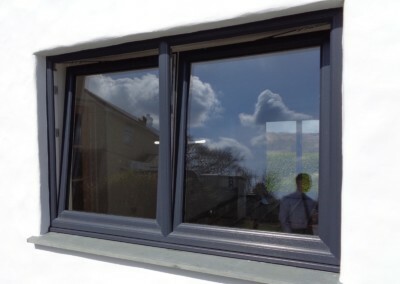 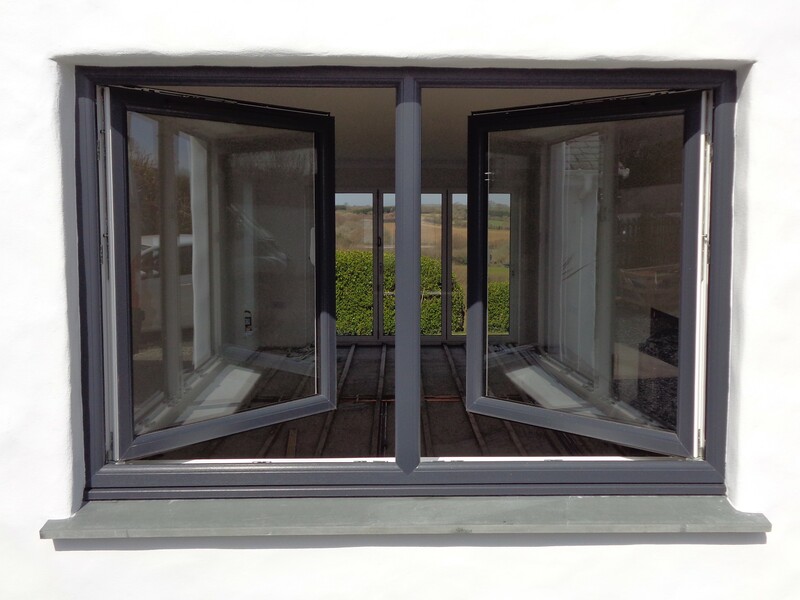 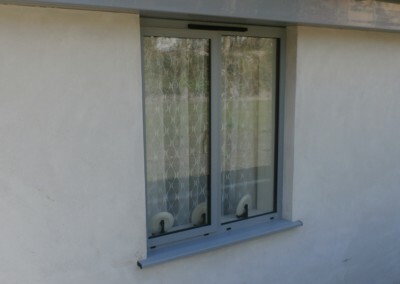 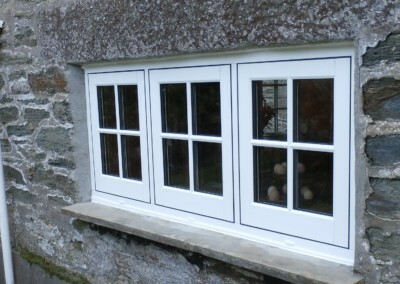 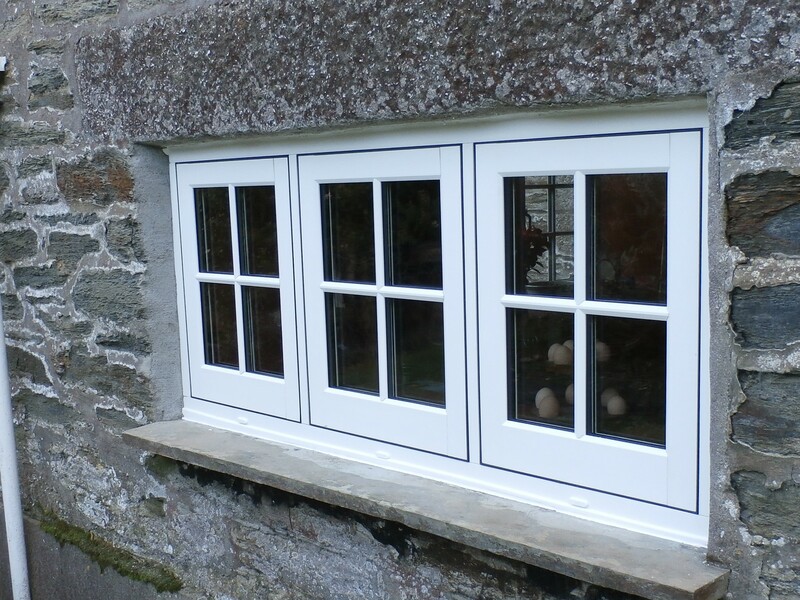 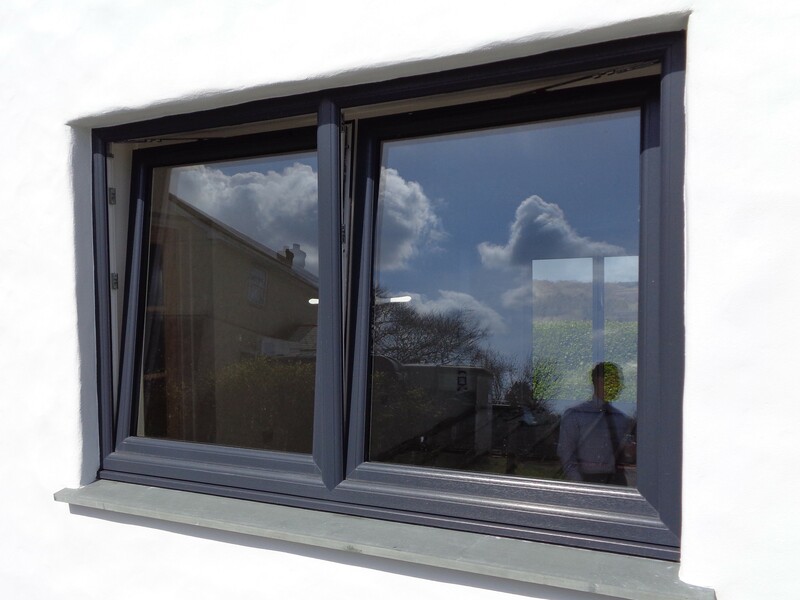 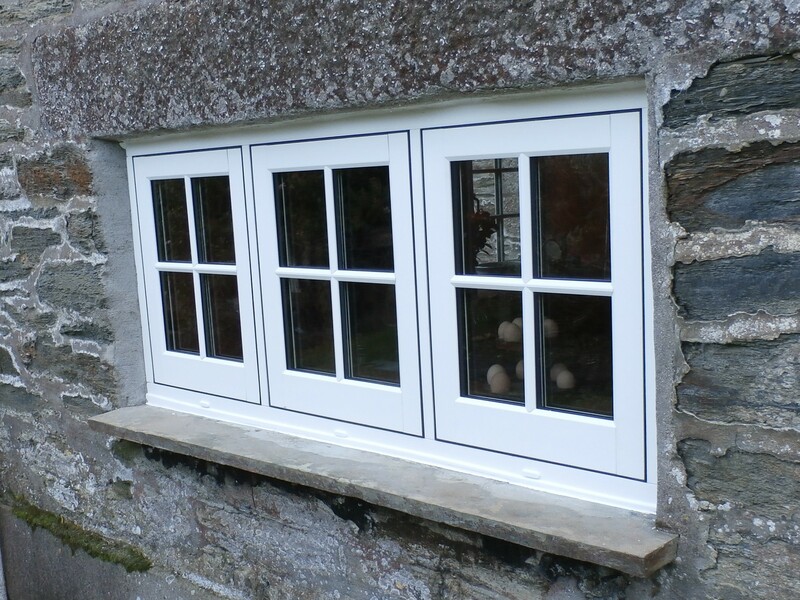 Allglass have recently fitted these stunning Kommerling casement windows in Falmouth. 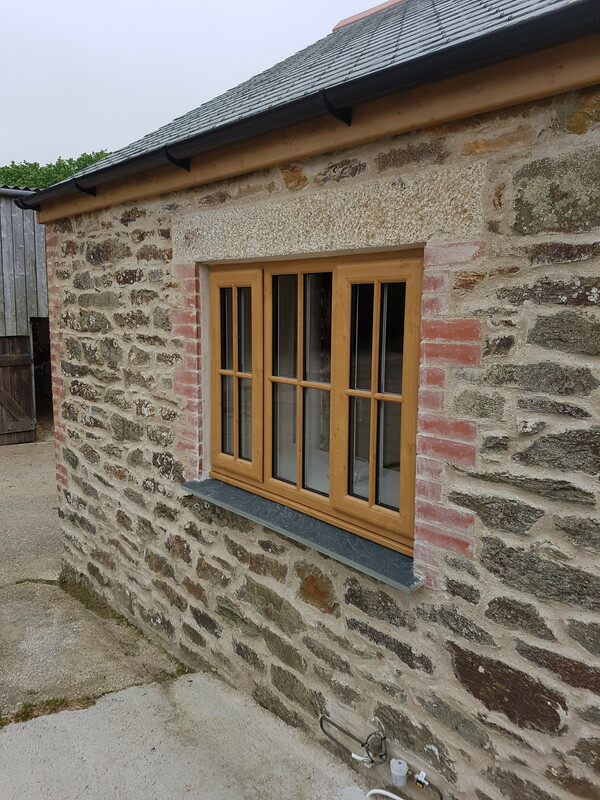 Undoubtedly one of our most popular styles of window due to their timeless design, modern adaptability and wide range of finishes. 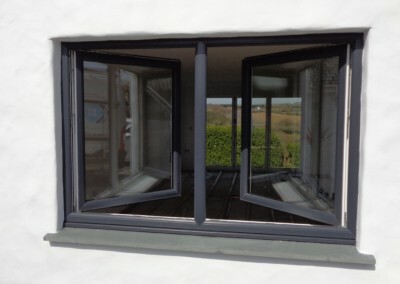 Hinged from the side these casement windows can be opened fully from top to bottom like a door, providing exemplary natural ventilation and light. 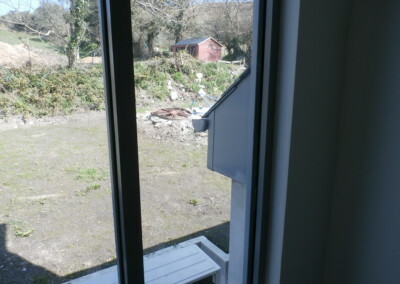 Not to mention the impressive views of Falmouth’s gorgeous countryside. 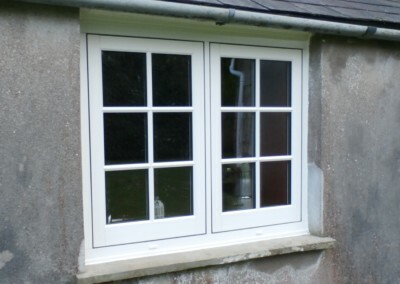 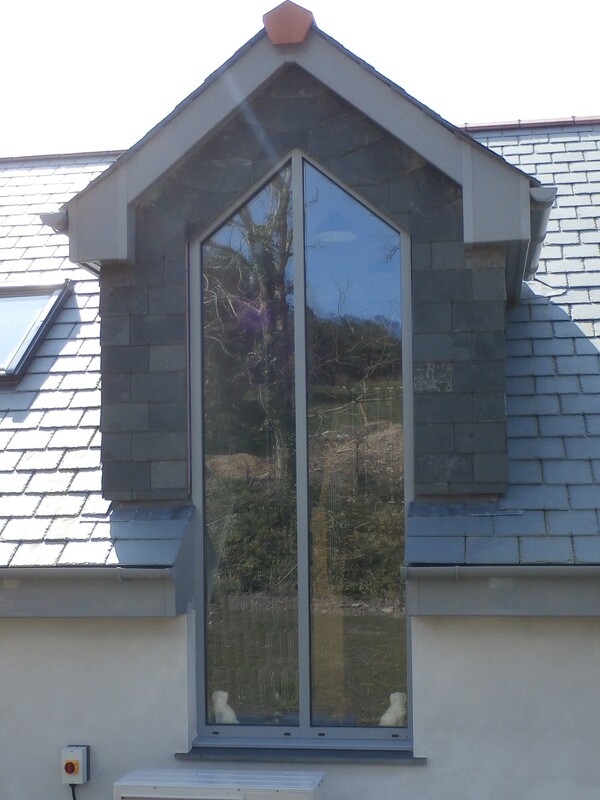 We supply and install double glazing throughout Cornwall. 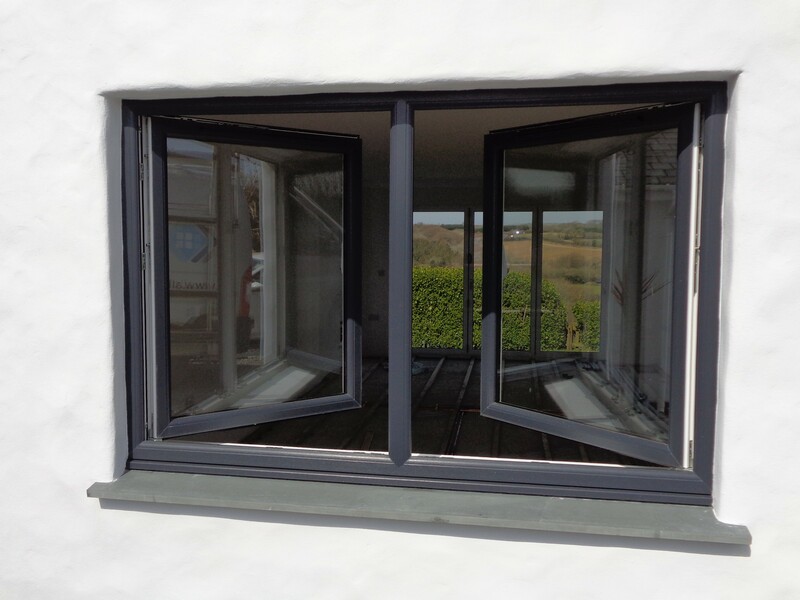 If you’re based in the Falmouth area and are searching for the best in energy efficiency, noise reduction and security then our Kommerling casement windows are the perfect choice for you. 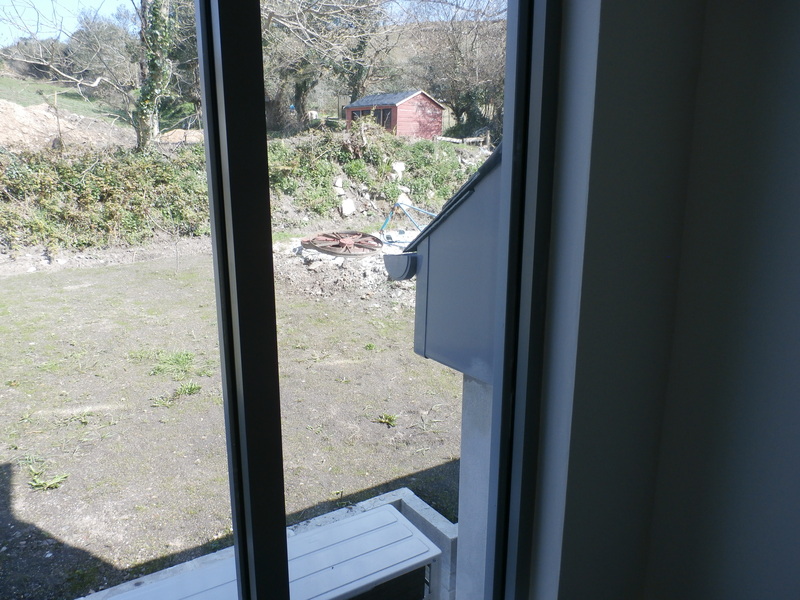 This house in Redruth has been given a contemporary makeover with our modern tilt and turn windows. 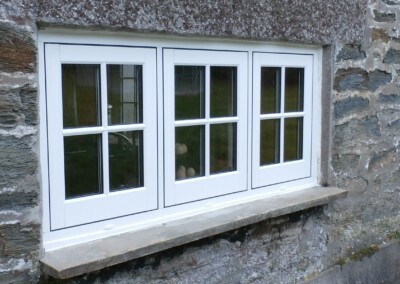 Dual opening, you can engage the side hinges and open the window for full ventilation. Uniquely, you can also tilt the window horizontally in a fixed position for gentle ventilation. 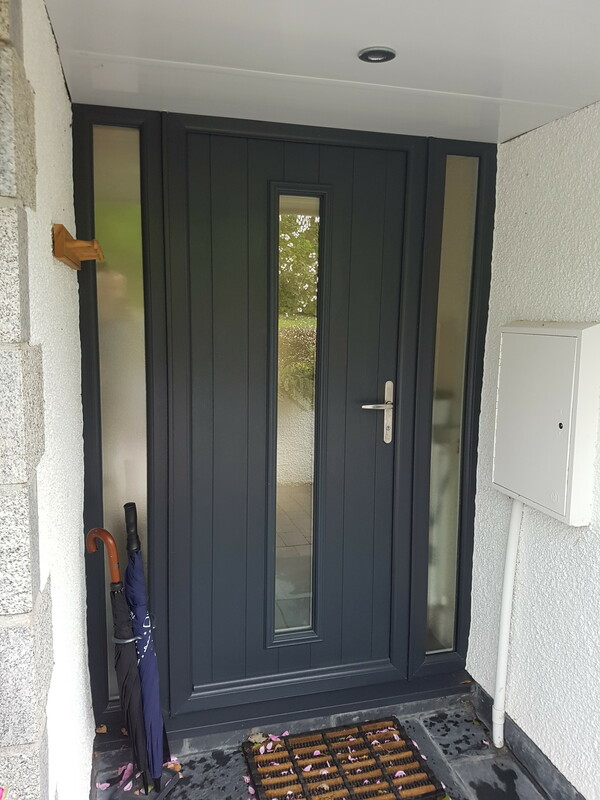 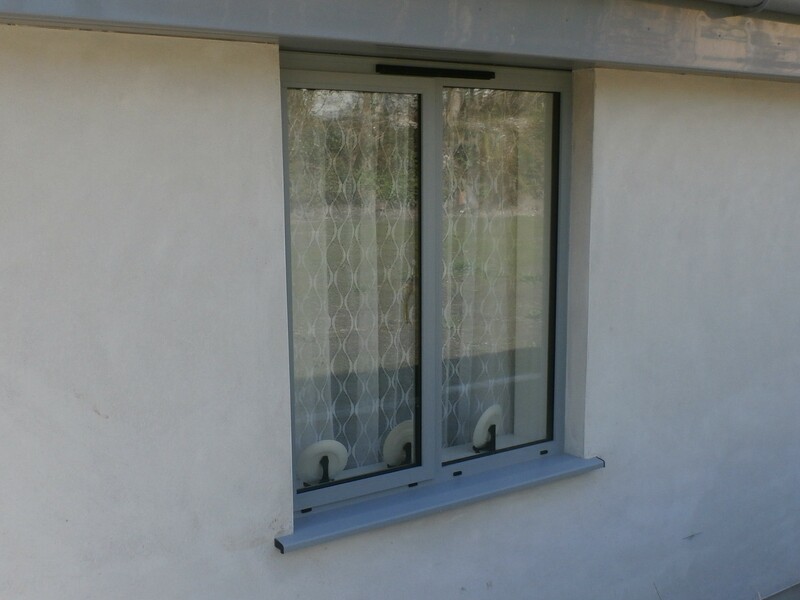 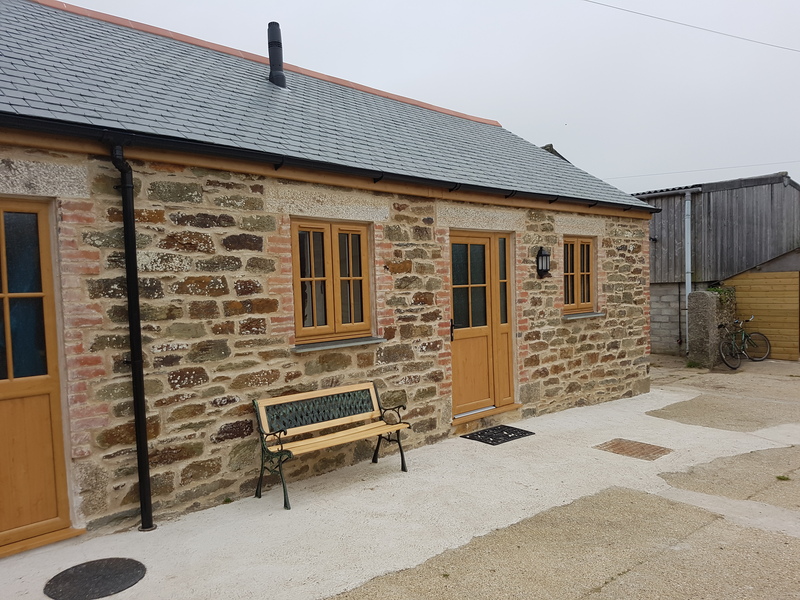 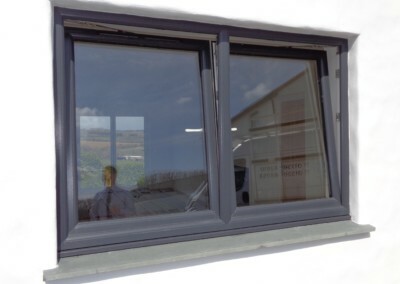 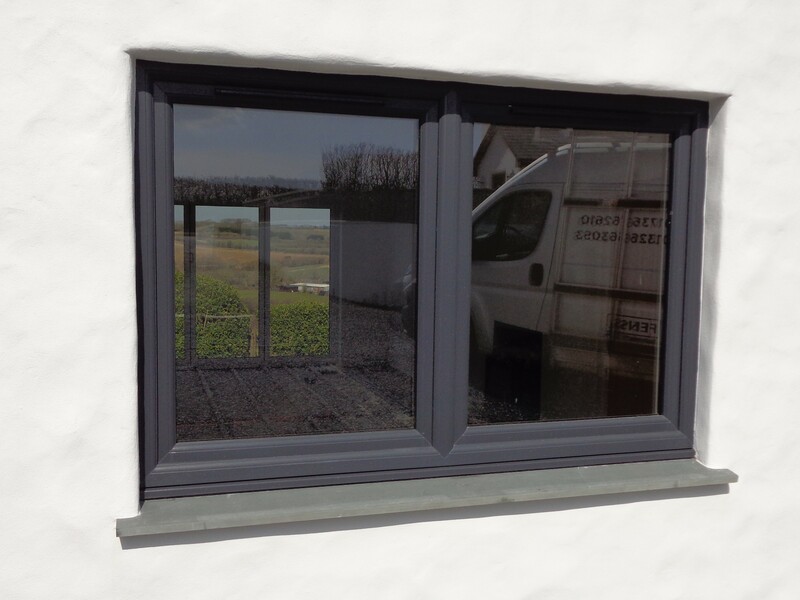 Fitted by us in Redruth, these versatile windows are energy efficient, allow greater control of the temperature in your home and enable safe cleaning from the inside. 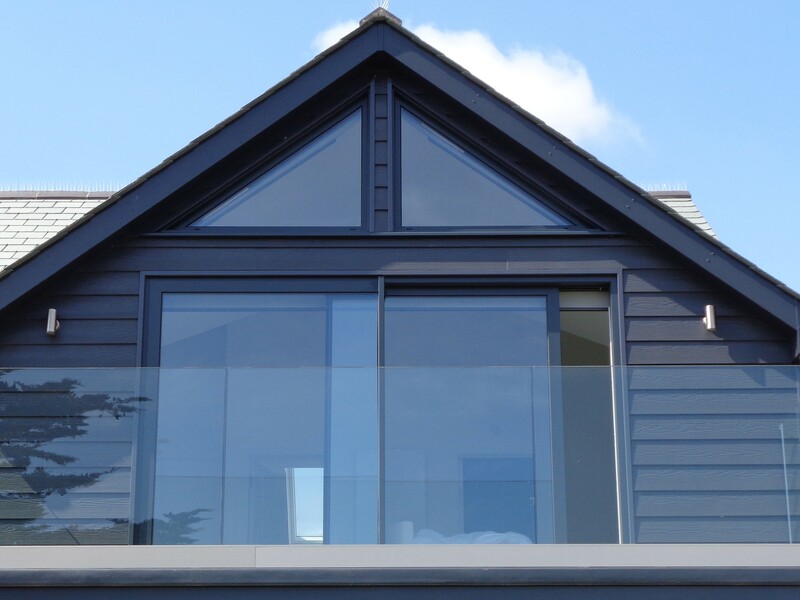 We offer a wide range of options to ensure you get the precise look and finish you want. 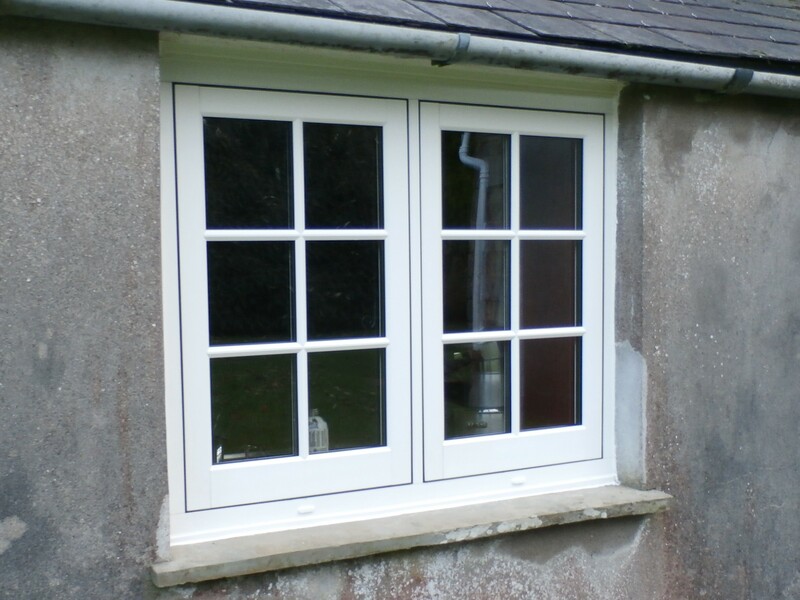 If you live in the Redruth area and are looking to update the windows in your home, give us a call today for a free, no obligation quote. 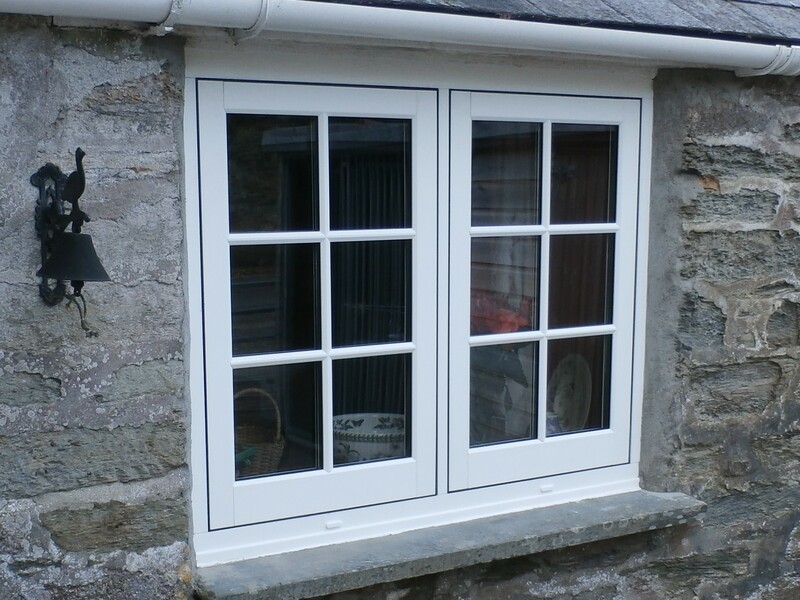 We cover all of southwest Cornwall from Penzance and St Ives to Redruth and Truro. 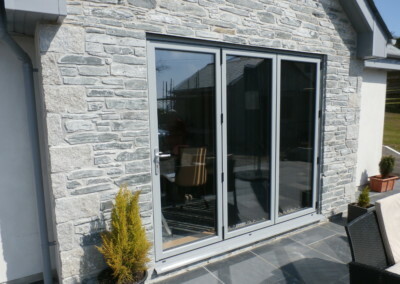 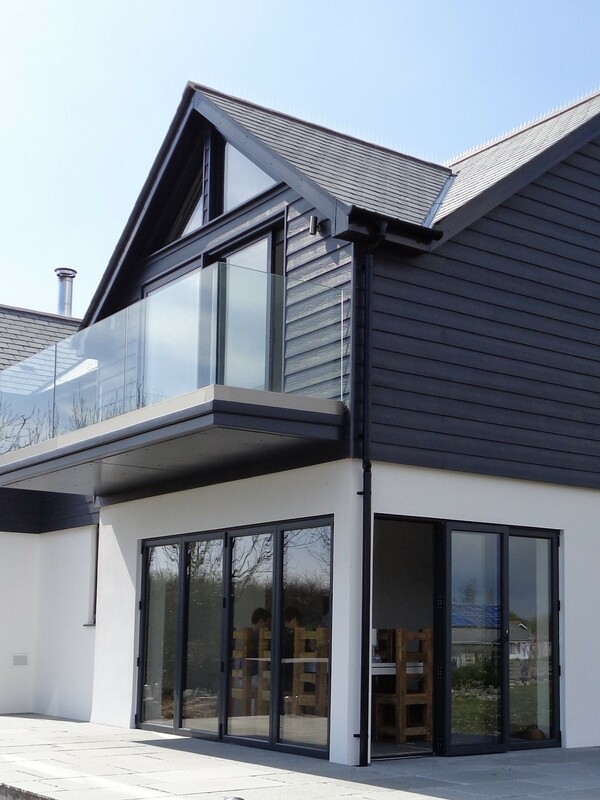 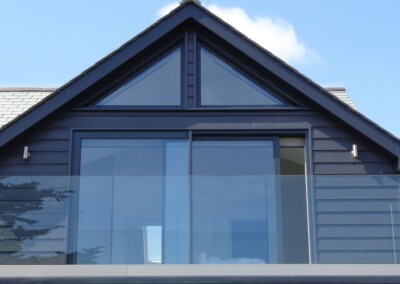 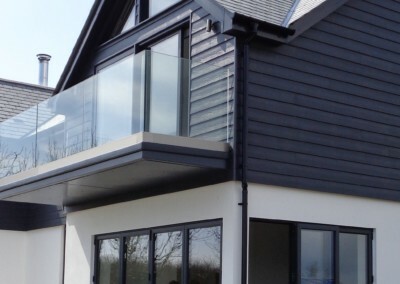 Our anthracite grey aluminium windows and doors add a sleek style to this modern home in Penzance. 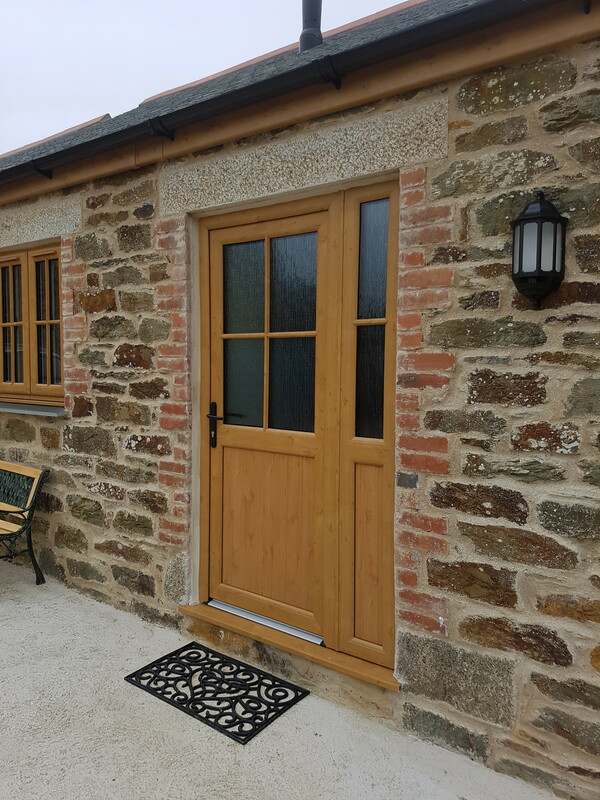 The gable frame and visoglide patio doors create a stunning focal point and add light and air all year round, as well as providing wonderful views of Penzance’s gorgeous coastline. 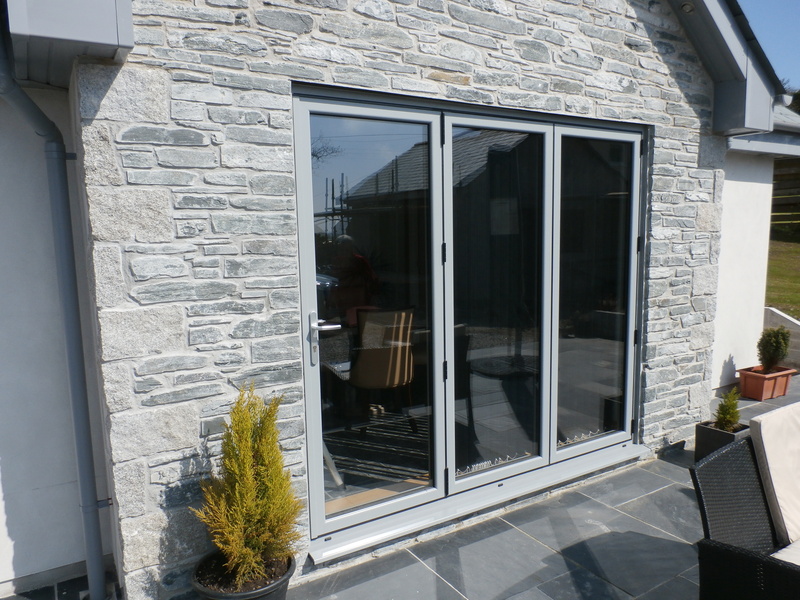 We offer a wide range of aluminium doors and windows that not only look fantastic but also feature the strongest, most durable and secure materials. 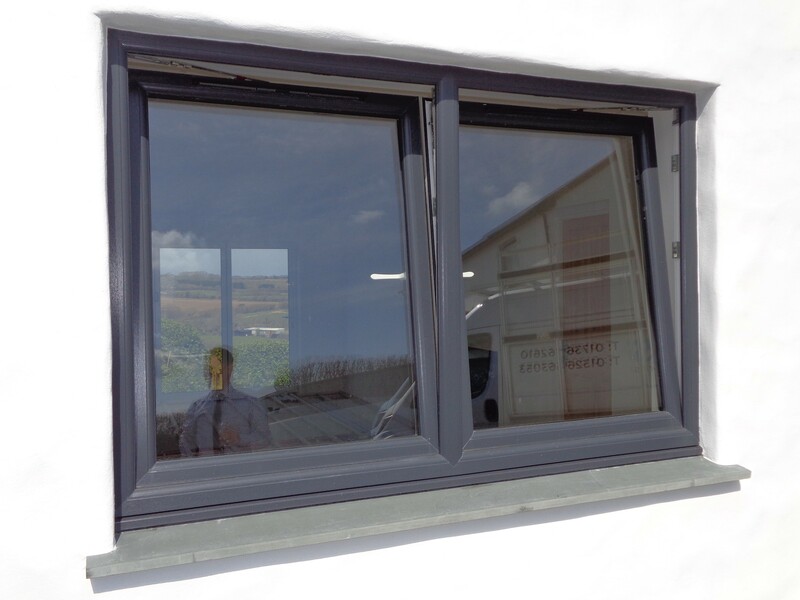 Consequently this range is perfectly suited to the corrosive sea air found in coastal areas such as Penzance, Falmouth and St Ives. 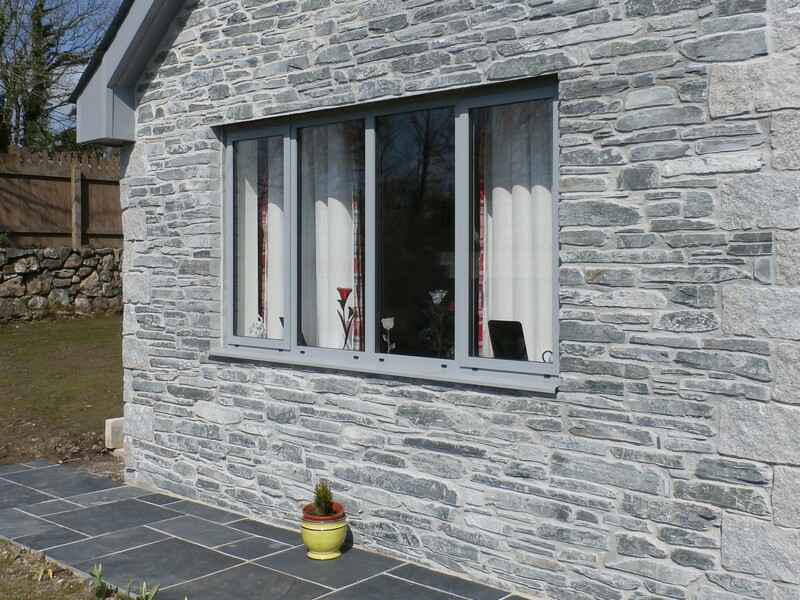 Furthermore aluminium is a superb insulator, helping to keep heat in and cold out for optimum energy efficiency. 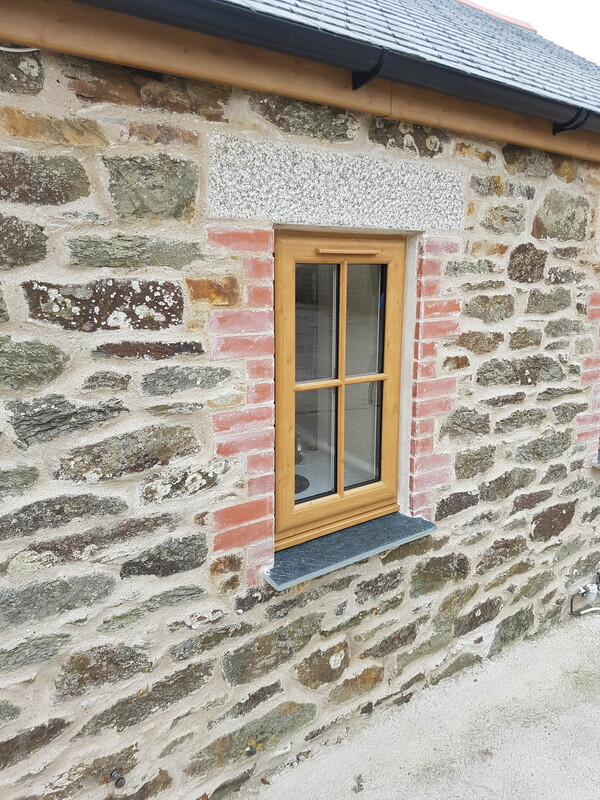 We cover all areas from Penzance to Truro so don’t hesitate to get in touch today. 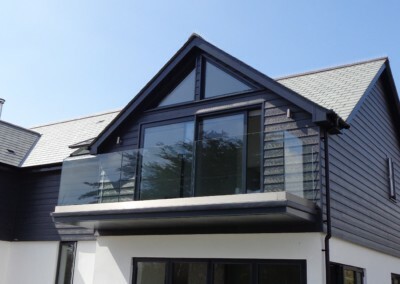 Allglass recently supplied a full house of windows, doors and patio doors for this home improvement project in Camborne. The central feature of this project is a bespoke smartwall gable window which allows an abundance of sunlight and an unrivalled view of Camborne’s historic landscape. 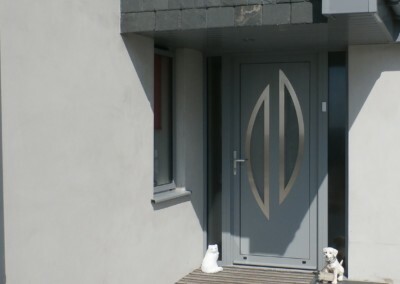 All of our installations are bespoke so no matter what the style of property we can offer you a design to suit your home. 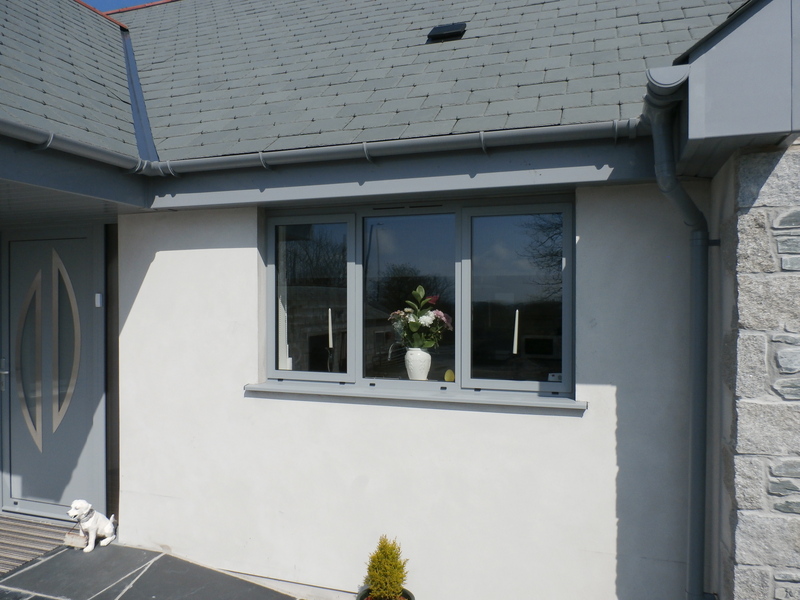 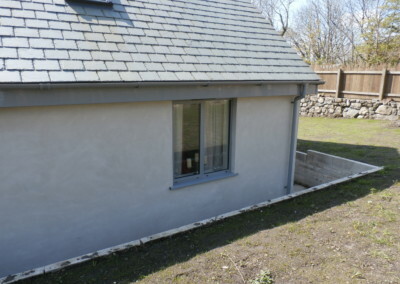 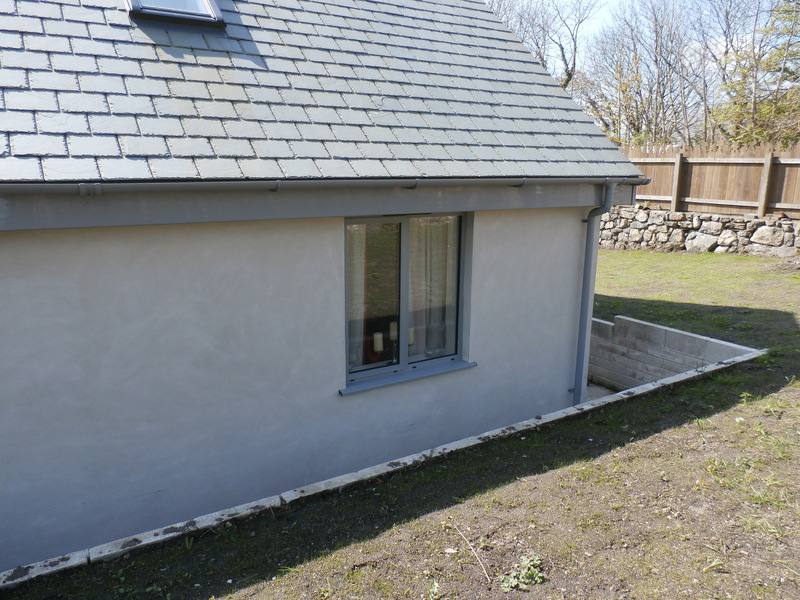 Be it a contemporary look, such as this project in Camborne, or a more traditional appearance. At Allglass we pride ourselves on taking the time to really understand what each client requires. 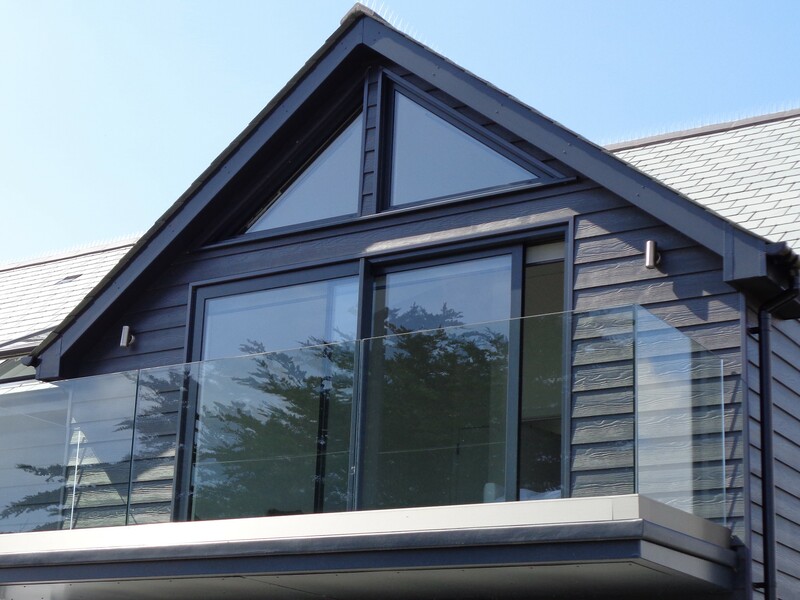 If you are considering a home improvement project in Camborne, or in the surrounding areas from Penzance to Truro, we’d love to hear from you today. 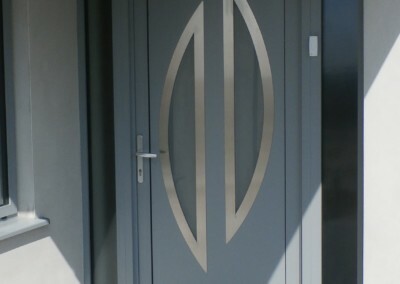 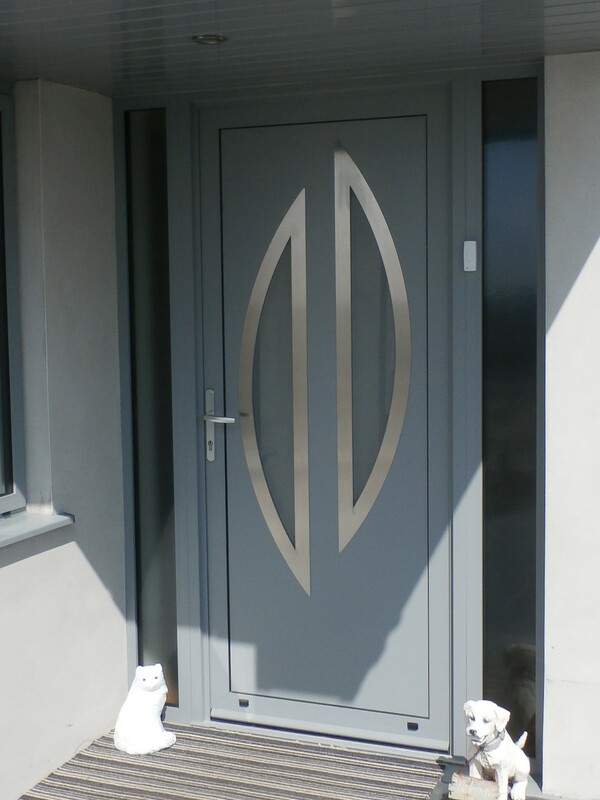 Alitherm plus door with hallmark panel with stainless steel pressings and anodized silver handle. 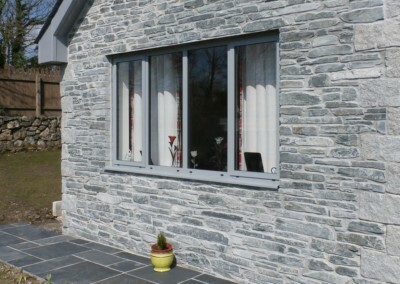 Gable frame in slate grey smartwall with reinforced mullion.